Delightful downstairs studio area in one of Napier's original homes on Bluff Hill. Lovingly renovated to accommodate everything you might need for a weekend getaway in Napier. Owners discreetly on hand to guide you in local knowledge, and with Art Deco fripperry, should it be required. The studio provides everything you need to be self sufficient and comfortable, with it's own entry access, TV, shower and kitchen area. Smoking allowed outside only. 2 adults and one small child allowed, although child would sleep on a fold out bed. One double bed in bedroom. Owners on hand to help organise that special weekend. Lissa and Ben’s place is very nicely designed, exceptionally comfortable and in a beautiful setting. It has all the appopriate items in the kitchen. The view from the little deck over the garden is wonderful. We would highly recommend this unit to any couple looking for a quiet, comfortable place near the CBD. Charming 130 year old home is worth seeing for all the cute features. The accommodation is very well equipped and comfortable plus being able to park off the street is so convenient. We had a lovely welcome by Annalissa. The unit was nice and warm when we arrived and decorated beautifully. Great location with lovely views. I would recommend this place to all family and friends. Everything you need with lovely garden & sea views. Lovely basement apartment, very modern and comfortable. Lovely basement apartment, very modern and comfortable. 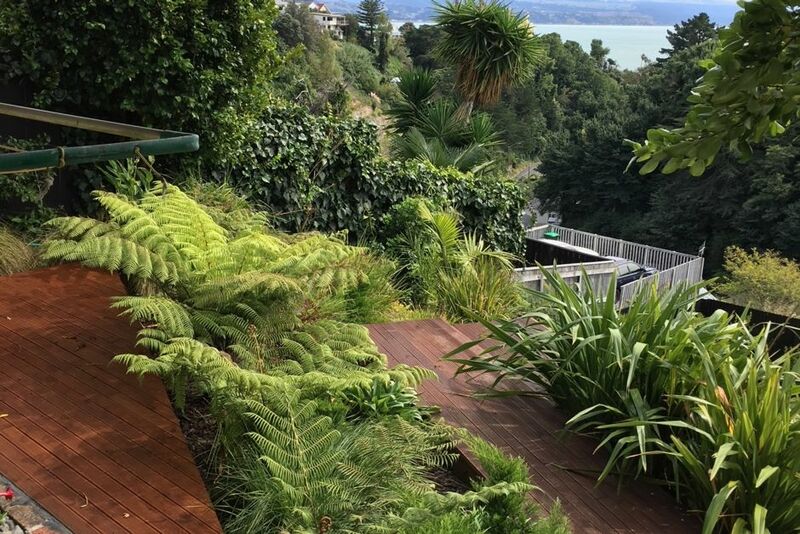 Bush clad location with a stunning seaview from the back garden. Great stay - many thanks? !